* Lesson plan objective and assessment can be adapted to use this activity with mobile infants. 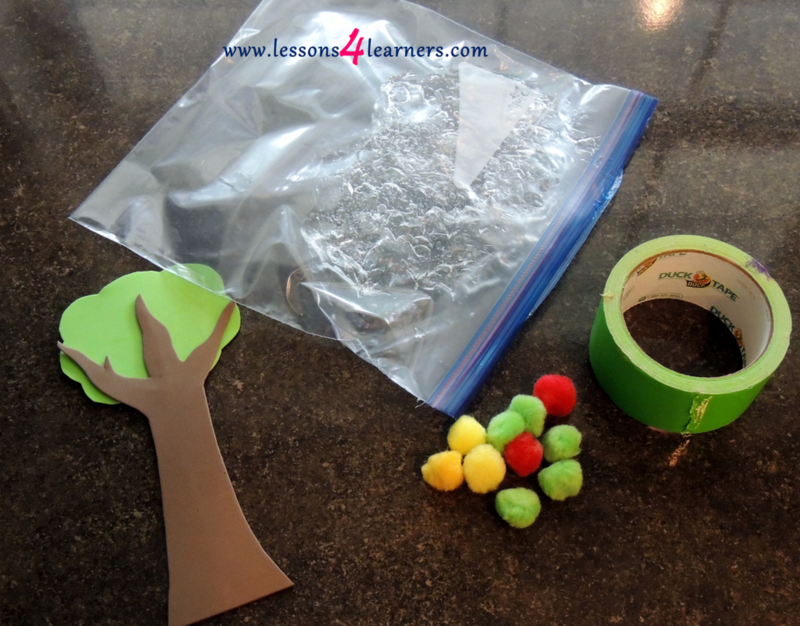 Create the sensory bag by cutting the foam sheets into a trunk and leaves. Hot glue them together to form a tree. Place it in the ziplock bag along with ten red pom poms to represent apples. Seal the bag shut and secure the edges with duct tape. Read Ten Apples Up on Top! with the child. Be sure to read with an expressive and entertaining voice to keep the child’s attention. 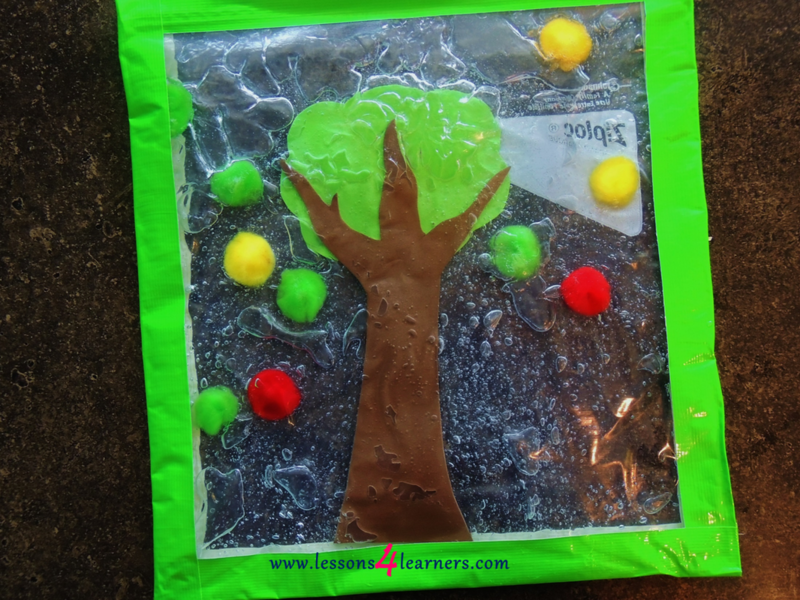 When finished, introduce the sensory bag to the child. 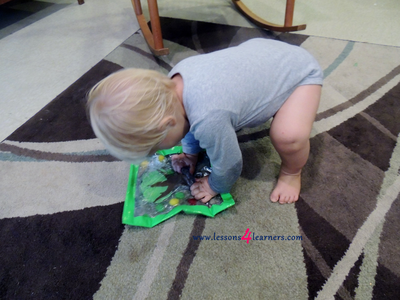 Talk with them while they are playing, practicing conversation skills. Observe and record the child’s fine motor skills. 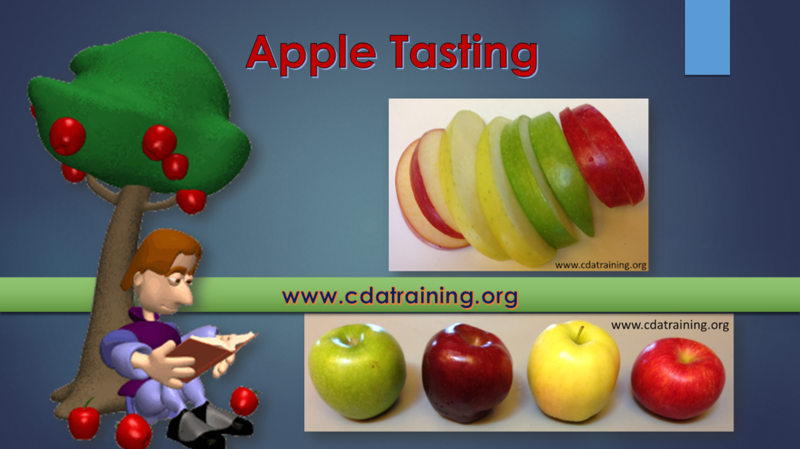 Were they able to push the “apples” around with their fingers? 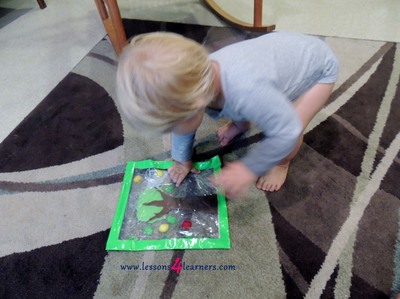 What verbalizations or words did they make when playing with the sensory bag?